How could I register my warranty ? Thank you for choosing the online warranty registration for your Peugeot product. Filling out this form will help you obtain more efficient warranty service in case there is a problem with your Peugeot product. All Peugeot mechanisms come with a lifetime warranty. All Peugeot wine-tasting accessories come with a two-year warranty from the date of purchase. The Baltaz corkscrew (metal) features a ten-year warranty, while Baltaz Dark (plastic) offers a two-year warranty. The Salma corkscrew comes with a five-year warranty. Paris Classic knives come with a lifetime warranty. Paris Bistro knives come with a 5 years warranty. Batch number is the mill spice batch number. 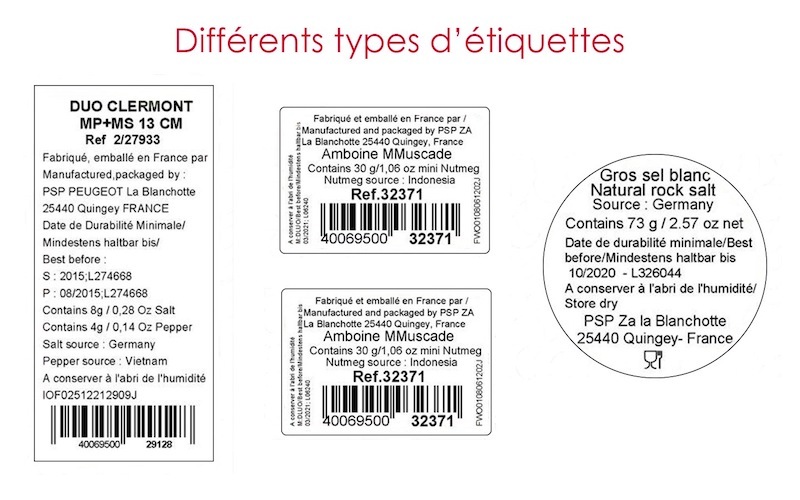 It is located on the produce tag, jars or plastic bag containing the salt or pepper (for the electric mills).